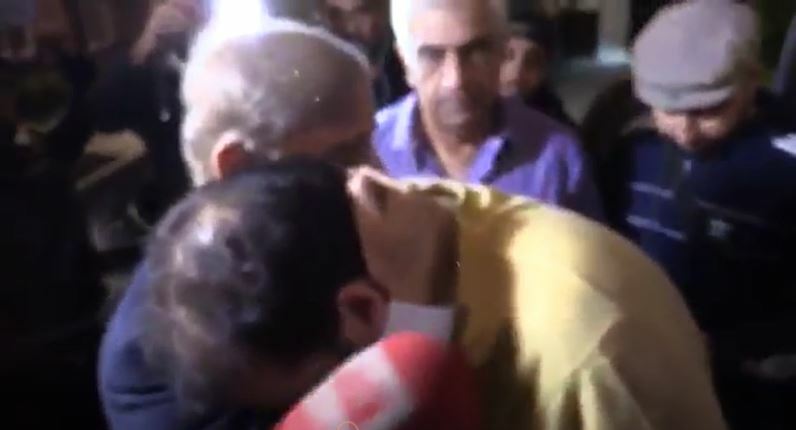 Hussain Nawaz, eldest son of incarcerated former president Nawaz Sharif broke down in grief on Wednesday night in London when his uncle, Pakistan Muslim League-Nawaz (PML-N) President Shehbaz Sharif arrived to attend his sister-in-law Begum Kulsoom Nawaz’s funeral prayers and take the body home. Sharif had left for London via a foreign airline from the Allama Iqbal International Airport on Wednesday morning. Speaking to reporters at the airport, he had shared Nawaz Sharif and Maryam Nawaz are in great pain on account of their loss since they could not be with her at the time of demise. “May Allah give courage to the bereaved family to bear the loss,” he said. The PML-N president had also shared that his brother and niece were adamant that they won’t submit a request for parole to be able to attend Kulsoom Nawaz’s funeral. He had to intervene and submit the parole request on their behalf. According to reports, a Pakistan International Airlines (PIA) flight carrying the body of Kulsoom Nawaz will leave for Lahore from the Heathrow Airport, London on Thursday and land at the Allama Iqbal International Airport in Lahore early on Friday. The Sharif family has reportedly refused to get any assistance from the Pakistan High Commission in London in the matter of repatriation of the deceased’s body. Shehbaz Sharif will attend the funeral prayers of his sister-in-law to take place at the Regent’s Park mosque in central London on Thursday before taking back her body to Pakistan, where her funeral prayer will also be offered in Lahore on Friday. Her sons, Hassan and Hussain Nawaz will not be able to attend her funeral prayers in Lahore on account of corruption charges and arrest warrants levelled at them. Begum Kulsoom Nawaz will reportedly be laid to rest at Jati Umrah. Nawaz Sharif’s wife and former first lady, Begum Kulsoom Nawaz, breathed her last on Tuesday after fighting a long battle with cancer. She was 68.